With more than 800 years of history and ideally situated between its Baltic and Scandinavian neighbours, Riga offers a rich cultural heritage, complemented by low costs and exceptional service. Located just a short distance from more than 80 European destinations, the Latvian capital attracts in excess of 300 weekly flights from the continent’s major airports. Riga International Airport is located just nine kilometres from the city centre and is accessible within 15 minutes via a short transfer. The city prides itself on its blend of historical meeting halls and modern conference venues. With more than 80 hotels – with a total of 13,000 beds available – Riga is well equipped to host large congresses, conferences and official delegations. The next two years will see more than 750 hotel rooms, as well as a number of conference and professional multi-purpose meeting venues, added to Riga’s already plentiful accommodation offering. As a requirement, all hotels in the capital offer free Wi-Fi and a full buffet breakfast. A number of hotels also boast Green Key certificates, with the modern Radisson Blu Hotel Latvia and Daugava Hotel perfectly catering to the needs of associations, conferences and planners. Riga has become synonymous with high-quality hospitality, with its well trained employees famed for their discreet and delicate nature. As well as offering exceptional customer service, Riga hotels present great value for money, providing ideal locations that accommodate even the smallest of budgets. 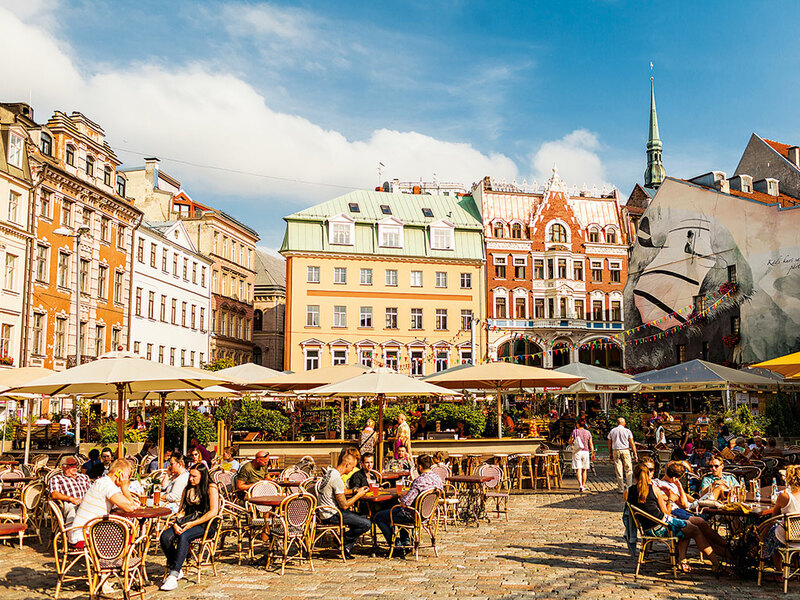 Whether travelling in a small incentive group or a large conference delegation, Riga can provide high-quality service at low prices. The Latvian capital also boasts a number of exceptional meeting venues, with the Great Guild House – constructed in the 14th century – and the one-of-a-kind Riga Latvian Society House among the city’s most popular destinations. 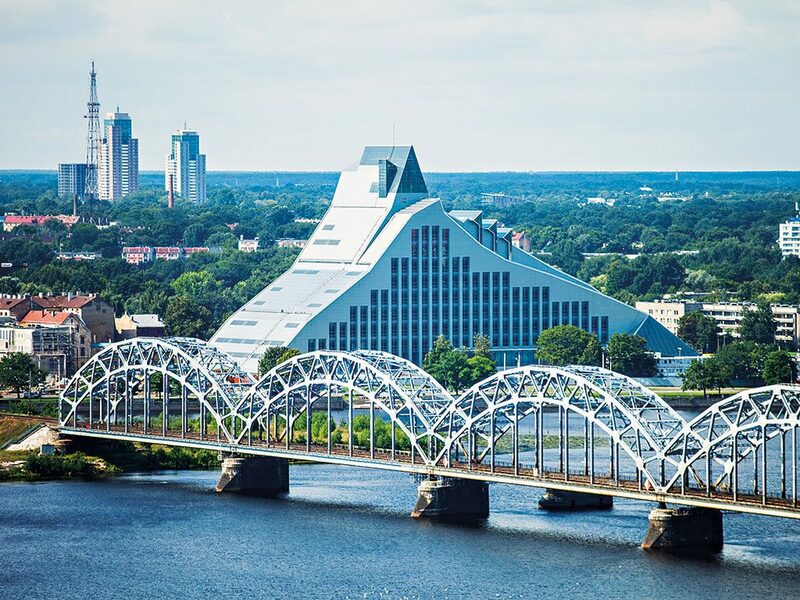 The new National Library of Latvia, which is made entirely of steel and glass, is a popular alternative for those seeking a more modern, contemporary feel. Outside the conference room, Riga offers an array of attractions that combine influences from Germany, Sweden and Russia. While indulging in the city’s rich heritage, guests are encouraged to try some modern Latvian cuisine, which offers a variety of delectable flavours sourced from fresh, local ingredients. Here at Meet Riga – the city’s official conventions bureau – we provide excellent services for international travel planners, meeting planners and media representatives. We have partnerships extending throughout Riga, including but not limited to: all major hotels; conference and events venues; destination management companies; professional congress organisers; meeting and incentive agencies; commercial airline airBaltic; chartered buses; and a number of car rental companies. With its combination of Nordic attitudes, historical beauty and affordable living, Riga is a truly unique destination. Meet Riga offers a full range of services to help you plan your next event, providing inspiring ideas for both the professional and the social aspects of your trip.